Truth by Kbaig: The Policy for Cease Fire on One Front through Negotiations in War on Four Fronts!!! The Policy for Cease Fire on One Front through Negotiations in War on Four Fronts!!! During the watch duty of melons the owner of the fields saw that four boys armed with sticks are not only robbing the melons but also destroying the plants. He shouted on them and asked them that who are they and whose sons are they? One of them told him that his father is the Lumbardar (notable or govt. representative) of the village. The owner of the melon fields praised that Lumbardar and said that he is one of the best people in the village; he made the boy sit on his wooden bench respectively, asked to him to sit there calm fully while he plucks sweet melons for him. The second boy said that his father is blacksmith, the owner of the field replied that blacksmith is his friend so he should sit respectively as well. The third one said that his father is “water carrier”, owner of the field expressed happiness over this and said that if “water carrier” does not bring water and sprinkle it into the village than whole village would become dusty, so he asked the third boy to sit as well. The fourth without being asked said that he is the son of the washer-man. The face of the field owner got red with anguish and said that washer-man from whom whole village is sick, who tears apart the clothes in the name of washing? He started beating the fourth boy and all the three boys watched their fellow being beaten up peacefully because it was enough for them that they were given respect. This Christian girl is also a daughter of Pakistan! After beating the son of washer-man the owner of the field called the son of water-carrier and started beating him because his father was lazy and used to get full money for supply of partially filled musk. The other two boys kept silent because they have heard from their families that water-carrier was a corrupt and lazy person. After making son of water-carrier runaway by beating him, the owner started beating the son of blacksmith saying that son of the Lumbardar has the full right to pluck as many melons as he wants but who has given right to the son of a blacksmith to equate with the son of Lumbardar. After beating away the son of blacksmith the owner went towards the son of Lumbardar who was enjoying his fellows being beaten; the owner beaten the son of Lumbardar and said that this filed is not the property of his father so that he can steal away the melons and warned that if anyone again dared to trespass he will make them an example. In this way through proper strategy the owner of the field not only punished the naughty boys but also made them afraid of him for future despite of being alone. Same like situation our country is facing now. In order to destroy out motherland paid agents of different foreign powers have not only infiltrated within our Pakistan but also busy in their dirty game of blood. In order to tackle these foreign agents there is need to utilize good strategy and planning along with power and this planning could be only done by our rulers but irony of the fate is that this is the political expediency and corruption in the national treasury of our political leaders that has brought Pakistan to such destruction. Due to the criminally negligent policies of our elected leaders now International Monetary Fund (IMF) has conditioned the loan with the purchasing of electricity from India; in the other words International Bank has also started interference into national matters of Pakistan by dictating Pakistan to bow in front of India. This is not only shocking but shameful for the whole nation that due to the corruption, criminal negligence, under hand deals with India, kickbacks etc. 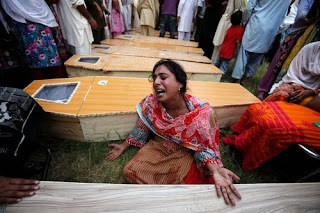 whole Pakistani nation is being enslaved to India. Of course our current leadership is well aware that Pakistan is facing war like situation and Pakistani nation is suffering from consternation. On the one hand there is law lessness, bloodshed, poor law and order situation and abduction for ransom which has made poor and rich both patients of anxiety on the other hand security agencies are facing war on four fronts. The rapidly decreasing value of currency, the increasing prices and inflation as a result of devaluation of currency is providing fuel for the war that has been imposed on Pakistan. Youngsters are getting motivated towards extremism due to the social injustice of prevailing system. They do not feel any fear while snatching purses from women or robbing persons taking money from banks on the gun points (weapons they can openly purchase from black market) because they feel that their daily routine life is not better than prison. Such youngsters prove to be easy target for the agents active against the motherland; these youngsters after proper brain washing, training and providence of weapons are launched as terrorists against innocent public. This was the situation after which govt. 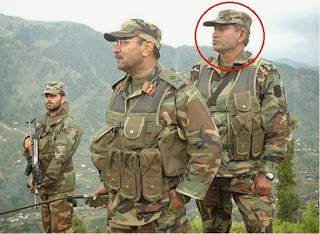 of Pakistan called All Parties Conference (APC) and a unanimous decision was taken that negotiations with Taliban should be continued, however, the attack over GOC 17-Div Major General Sana Ullah Niazi in which he embraced martyrdom and acceptance of responsibility of Taliban for this attack was such a tragedy which shocked the whole nation. TTP (Tehreek-e-Taliban Pakistan) praised this terrorist act as a victory presented their conditions for peace talks which shocked everyone. They demanded that army should be withdrawn from FATA and all of their arrested terrorists should be released, which was not possible to be accepted by govt. of Pakistan. TTP was also aware that it was impossible that their demands would be accepted or considered but in the way they presented the demands it seemed they have over powered state of Pakistan and Pak army does not have the capability to crush them or has lost morale to do so. Although on the martyrdom of a General of Pakistan and demands of TTP Chief of Army Staff General Ashfaq Parvaiz Kiyani expressed his reaction in these words that giving a chance to political process or talks for restoration of peace is understandable but this should not be considered as weakness of Pakistan army. No one should have any doubt, Pakistan army will fight against terrorists at all cost, neither we will accept demands of terrorists nor we will let them impose their agenda. He further said that army has the capability to destroy the terrorism to fulfill the expectations of the nation however, army supports political peace process. In contrast to reaction of General Kiyani the reaction of Prime Minister Nawaz Sharif was much delayed, perhaps he had been confused for peace talk with TTP, he was expecting attacks but not such big tragedy. However, he expressed grief in his statement from Ankara and said that use of power would be last resort. The Christian Woman's question from mankind, " what was her crime"? On the statement of General Kiyani that war against terrorists would continue at all costs and statement of PM Nawaz Sharif, few analysts tried to prove that there are disputes between army and Political govt. for peace talks with Taliban and after martyrdom of General Sana Ullah the war on terror is inevitable. In order to sabotage the morale of army and propagate that there are disputes between army and govt. the reporter of a daily newspaper running on the funds from India under AMAN KI ASHA conspiracy, Umar Cheema published a very abusrd story according to which TTP terrorists are following those officers who have taken part in operations against TTP and martyrdom of General Sana Ullah is also linked with this phenomenon. 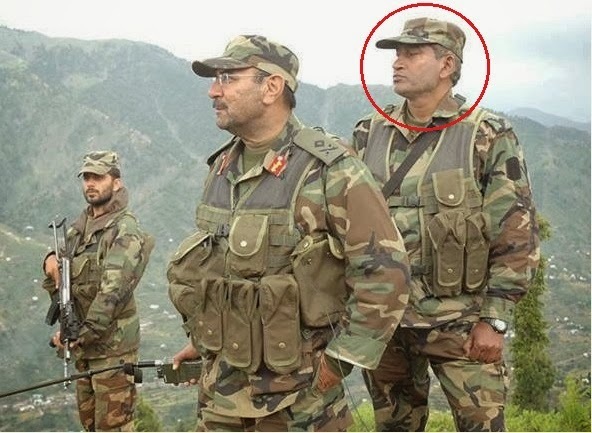 General Alvi also belonged to SSG who was martyred after his retirement. In this regard in 2003 TTP accepted that they have targeted him due to his participation against TTP. He further writes that many officers who participated in operations against TTP have been martyred. In order to tackle this situation many officers have changed their appearances. 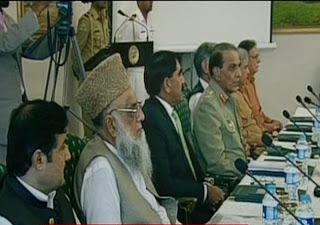 On the other hand those elements who want peace process to be continued are of the view that attack and martyrdom of Gen Sana Ullah is act external forces and enemies of motherland who does not want peace in Pakistan, as these external forces and anti-Pakistan powers have always sabotaged peace agreements through terrorist attacks. This point seems to be valid because whenever peace process progresses either through land attacks or drone attacks those elements among terrorists who are wiling for negotiations are killed. However, this chaos regarding peace talks with TTP died away when after a joint meeting PM, Army Chief and DG ISI said that the decision of APC for peace negotiations with TTP would be implemented and political peace process would be given a chance. Without pointing towards this decision, Pakistani was severely criticized in USA. Ex American General McCain said in front of Armed Services Committee that for successful withdrawal of US and NATO forces from Afghanistan and in order to decrease the threats for Afghan govt. after 2014 the hide outs of Haqani Network and Taliban in Pakistan should be targeted. In front of Committee he suggested that Pakistan should be warned that if anything happens in Afghanistan in upcoming elections than this would be considered an act against Obama administration. Pakistan should be told to deploy a large number of army over Afghan border (so that Indian and US terrorists could be infiltrated into Pakistan from eastern border). The big change was observed in this situation when Pakistan released Mulla Abdul Ghani Brother on 21 September. He was arrested in 2010 from Karachi. 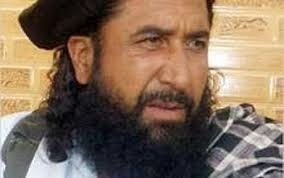 USA was also demanding his release as he has been declared as ambassador for peace by Afghan officials. According to Afghan govt. his release would prove to be a milestone in negotiations with Taliban. Although Pakistan has already released 33 Taliban leaders but in spite of all this the peace process was progressing slowly. But release of Mulla Brother is not acceptable for few elements in and outside of Pakistan because they are afraid that with his release the reign of Mulla Umar (as he is not needed by USA anymore so he is no more highlighted by international media) returns, their future would be dark in Afghanistan, moreover it would be not possible for them to continue terrorism in Pakistan via Afghanistan. 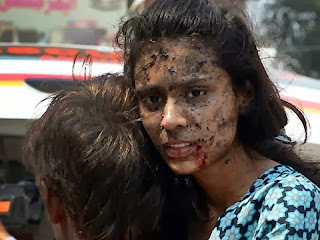 The reaction over release of Mulla Abdul Ghani has been observed in the form of terrorist attack over Christian Church in Peshawar on Sunday when Christian brothers and sisters were busy in praying. In this suicide attack more than 80 innocent women, men and children lost their lives. What was their link with India-Pakistan tension or Afghan politics? As a result of this attack over Church TTP denied their linkage with attack over church as well as remote bomb attack over General Sana Ullah. This shows that there is absence of effective communication between different groups of Taliban and they foresee their future dark after withdrawal of US forces although 20 thousand US soldiers and 9 air bases would be operative in Afghanistan. The also want to settle their matters with Pakistan before 2015. However, their controllers outside Pakistan want that bloodshed and terrorism in Pakistan continues; this could be easily imagined what these foreign terrorists want after watching a talk show telecasted on an AMAN KI ASHA brand TV Channel that Pakistan should stop negotiations with TTP and order army to attack North Waziristan (than why should not Pakistan keep itself away from Indian drama of peace talks and launch surgical strikes in India from where these TTP elements are being trained). Here I would like to mention that in USA many pro-Indian analysts have criticized release of Mulla Brother claiming that attacks of Taliban would increase. Although the decision of operation or peace talks with TTP is to be jointly taken by govt. and army considering the fact that country may have to face more acts of terrorism. If through negotiations one front in the war on four fronts could be closed that there is nothing adverse in taking the chance. Moreover, it is impossible that India would give up her terrorism in Pakistan. If the govt. wants to change the decision of APC than in spite of calling another APC a joint session of Parliament should be called to decide once that whether we have start operation against TTP or negotiate with them.